There has been phenomenal growth in on-demand media consumption over the last few years. More and more people have been consuming T.V shows at a time of visual convenience. This same convenience factor has driven the gradual rise of podcasts in the audio world. Similar to the dilemma with Netflix, there are now almost too many podcasts and not enough time. There were more podcasts launched in 2018 than ever before and the number of podcast titles has now ballooned past 600,000. The rise of podcasts is intrinsically linked to the speed to market of smartphones. In 2018 bluetooth headphones outsold wired for the first time. This, coupled with cheaper data plans have fueled the growth in demand for podcasts. Over 70% of podcasts are now listened to on a smartphone in comparison to a few years ago when 60% were listened to on a desktop. Despite its current vibrancy, the podcast world still has a small overall share of audio listening. In the USA, 26% of people listened to a podcast in the last month. In France, this number is 33% and in Spain it’s over 50%. Australia is now at 33% and in New Zealand we are now at 21% (NZ on Air’s “Where are Audiences in 2018”). Apple is still the dominant player with 60% share of the podcast download market. Other global players like Google and Spotify are aiming to double their podcasting distribution in 2019. 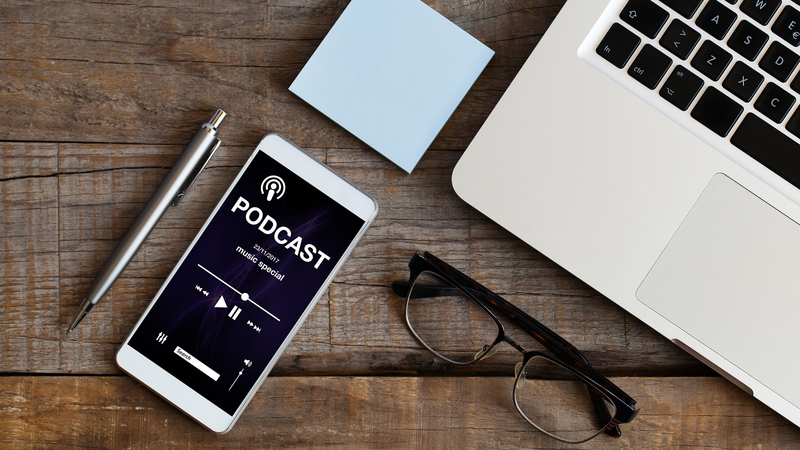 Google in particular are a strong threat to Apple, as they plan to promote podcasts to the two billion plus Android users worldwide who have yet to be introduced to podcasts properly. A standard distribution model will need to be implemented across devices and apps because unlike radio, podcasting doesn’t have a defined set of metrics for measuring or even data points that have commonality. So why should brands begin to care about podcasting? There is a new term called “screen exhaustion” where people are on their screens all day which means when they commute or relax, they want something that lets them escape the screen. Podcasting along with radio, offers audiences the opportunity to be entertained or informed in a screenless and relaxing environment. What’s also interesting to note, is that youth are the fastest growing demographic for podcasts. And lastly, it works well alongside radio to reach listeners outside of the broadcasting space. Last year saw further merging between radio and podcasting in the United States (who are leaders in podcasting). Many of the top podcasts of 2018 had strong ties to radio. “This American Life” is the world’s most successful podcast/show of all time and started out in 1995 and is still produced by a Chicago radio station. It was so popular that they made it into a serial, and series three was still the number one listened podcast in 2018. The Dave Ramsey Show is the USA’s third biggest radio show and also one of the top five most downloaded podcasts. In terms of news titles “The Daily” from the New York Times is the biggest of 2018 and “Stuff you should know” was a consistent player again in 2018. Joe Rogan still leads the way in comedy and “Barstool Sports” and “30 for 30” from ESPN are the most popular sports titles. In terms of the big ‘hit’ of 2018, this award goes to “Dr. Death” which is a story/saga about a back/spine surgeon and what he did to his 38 patients. There is much debate as to whether the term “podcasting” should be replaced by the term “on-demand audio” but for now the Apple-influenced “podcasting” name has stuck. However with many of the world’s major media organisations entering the race, it will be interesting to see who comes out on top… watch (and listen) to this space.